Imagine logging into any service on the web and being told that it’s probably a good idea to stop using a browser extension that you’ve installed. That’s what happened to one of our faithful readers, Derek. The Missing e Chrome extension, which has a name that pokes fun at Tumblr’s lack of a second vowel, adds a ton of functionality to your experience on the social blogging platform. 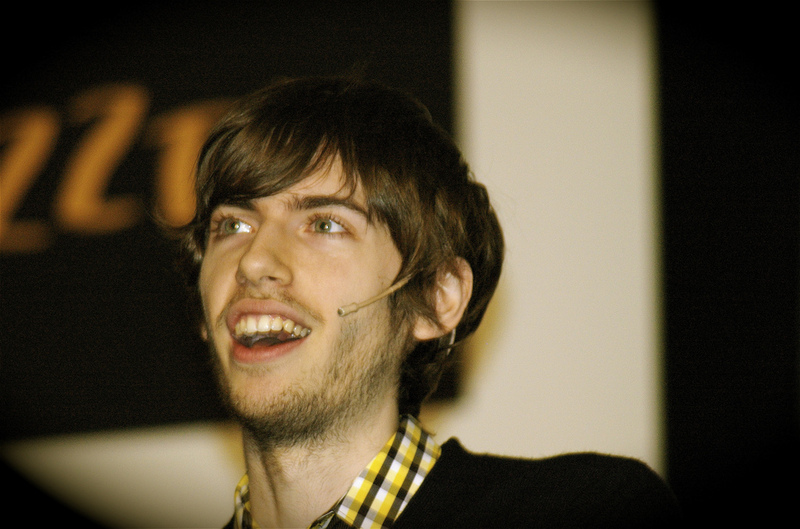 It’s quite popular too, with the Chrome Web Store reporting 258,408 users. In the prompt, the company says that it loves developers who create add-on experiences for its site, but it creates issues that are a “burden” on its support staff. 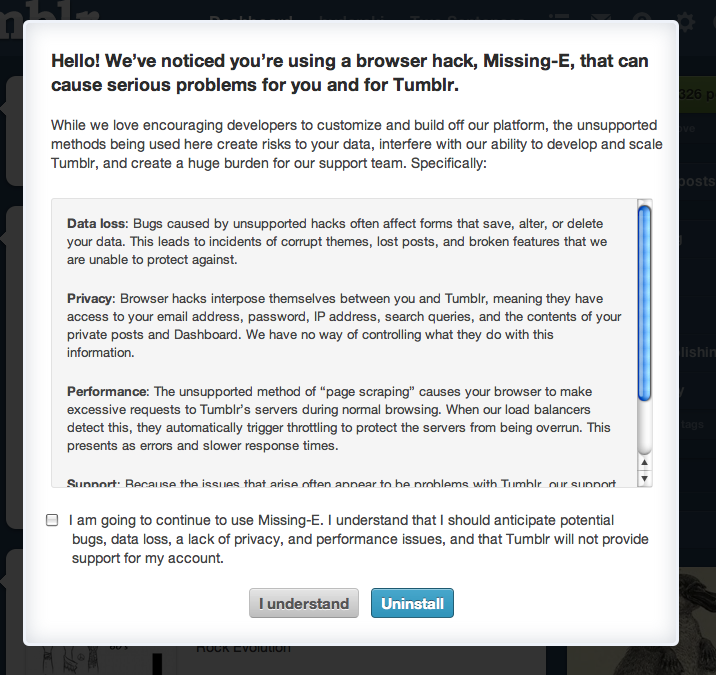 In particular, Tumblr says that Missing e may cause data loss, privacy, and performance issues that it can’t support. It sounds like one of those TV commercials for medications where they rattle off all of the side-effects they may cause. Third-party extensions and hacks are a part of the web, perhaps Tumblr should focus on building new features or its own official “app store” instead of whining about support and server issues.